We get it—shying away from chemical treatments and avoiding the urge to torch our hair with the heat of a flat iron are no-brainers when it comes to repairing the damage done to our manes. But what if we told you that there are some not-so-obvious yet easy tricks you don’t know about? Celebrity hair guru Sean James has a busy schedule that toggles between styling his A-list clients at the swanky Fred Segal Salon in Santa Monica, Calif. (his stylist seat has hosted the likes of Jamie Lee Curtis, Brad Pitt, Kim Kardashian, Chris Hardwick and Julie Bowen) and racing to the set of Hollywood shows like @midnight and Talking Dead. But he made time to come to the rescue of LivingHealthy readers, offering us some hacks on how to get our healthy, shiny hair back—and get it back STAT. 1. Always rinse your hair with cold water (a subtle reminder that beauty is pain). It will close the cuticles and reflect light better, adding shine. 2. For super shine, shampoo your hair twice. The first wash will lift most of the grit, grime and environmental effects from the hair, and the second will remove what’s left over. Condition from mid-length to end and voilà!—squeaky clean, shiny locks. 3. Using a conditioning treatment once a week will add moisture and fill your hair with essential lipids, adding a nice reflective surface. James’ favorite is Kerastase Nutritive Masquintense, available for both fine and thick hair. An insider tip: After applying conditioning treatment, cover your hair with a shower cap (or wrap in plastic wrap) for 30 minutes. If you can manage it, sitting in a steam room will add heat, pushing the treatment into the cuticles of the hair faster. 4. Here’s a dose of motivation to eat right: Maintaining a healthy diet is the best way to keep your hair from falling out and the most permanent method of adding shine to the hair. Drinking a lot of water and eating foods that contain omega-3 fatty acids—like salmon, tuna, walnuts and flaxseed—will give your hair a glossy sheen. 5. 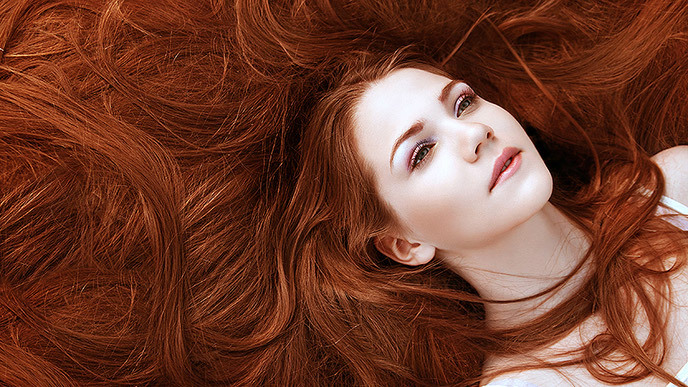 Taking certain kinds of supplements can also thicken and add shine to your hair. Phyto makes a fantastic supplement called Phytophanère, packed with vitamin A (wheat germ oil), vitamin B, omega-3 and -6, and vitamin C, which not only promotes hair growth, but also helps with strengthening nails and lashes. Toppik has one for fine and brittle hair called Hair Nutrition 2-in1 Capsules. In addition to vitamins A, C, D, B6 and B12, it contains keratin protein, biotin, camu camu and red palm oil, all of which help support strong, healthy hair. 6. If you’re going to get chemical services like hair lightening or chemical straightening, James urges that you ask your stylist about the products being used in your hair, and do your research. 7. Don’t use just any tool to dry, straighten or curl your hair. Make sure all of your tools have a ceramic coating. James’ favorite lines are Hot Tools, Solano and Enzo Milano. So take a short pause before you go and do something drastic with your dry hair (like cutting it all off) and try a few of these tips. Worst-case scenario? At least the bob is back in style.